The snow is falling (perhaps), the turkey (or nut roast) is ordered, the tree is up. Time for some carolling and some present buying. 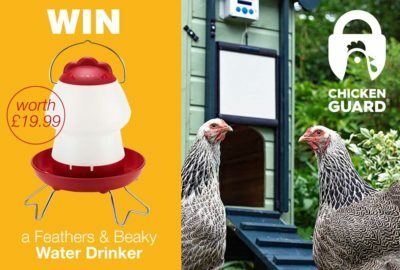 But do you need some present ideas for the chicken keeper in your family or perhaps you still haven’t got your hens that gift they deserve for laying you all those wonderful eggs this year. Well we’ve got some great ideas for you and your girls from the practical to the wacky and all things chicken. 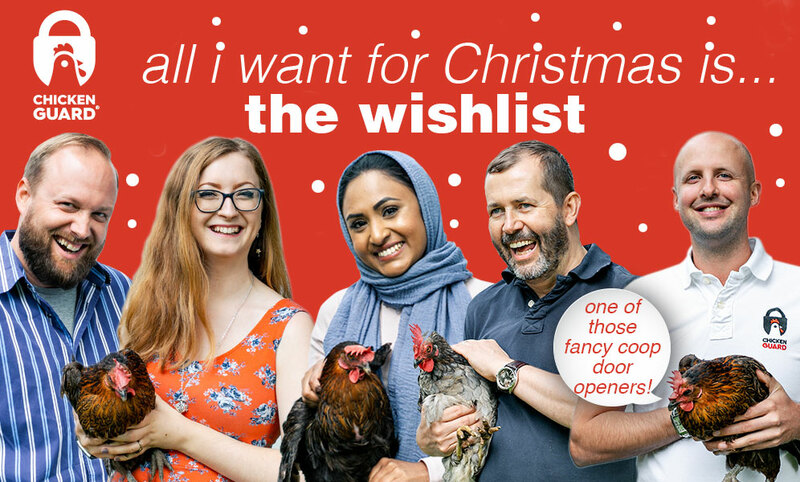 Take a peak at some of our favourites, we’re sure they’ll be a present among them for the chicken lover on your Christmas list. We love this one. 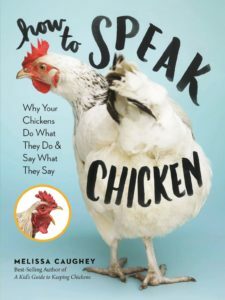 It is from best-selling author Melissa Caughey who, like us, knows that backyard chickens are like any favourite pet: fun to spend time with and fascinating to observe. The book is packed with her insights and observations, scientific findings and even interviews. 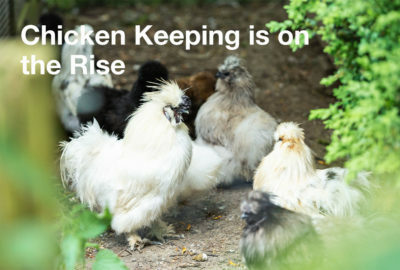 A great present for all Chicken Keepers. Here’s a more practical book. 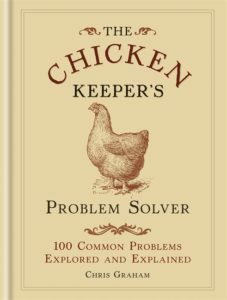 Great for someone who is just getting into chicken keeping or thinking about it. 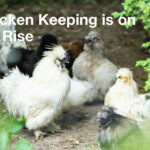 The Chicken Keeper’s Problem Solver explains the causes of 100 of the most common problems faced by chicken owners, and goes on to provide solutions. You can buy it online from bookstores, cluck here for one. Give you hens a treat with this Chicken Lickin Nutri-Sect Insect Block from Little Peckers. Great as a stocking filler for your girls! It is described as the ‘Rolls Royce’ of pecking blocks – a real treat for birds, including dried mealworms and insects as well as grains and seeds. 230g block. 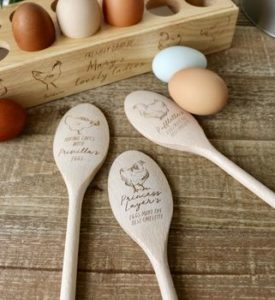 This is a lovely set of quirky little measuring cups in a chicken design that make a practical but fun gift for a chicken keeper. They stack inside each other. Nested consists of six charming measuring cups that all fit together until you need them. Open the mother hen to reveal an egg and open the egg to see the winsome little chick inside. 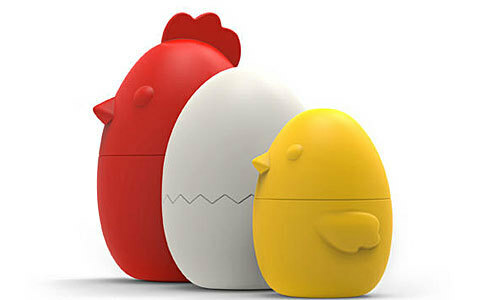 They are great for chicken keepers even better for chicken keepers who love to bake! 4. A New Coop for Christmas! 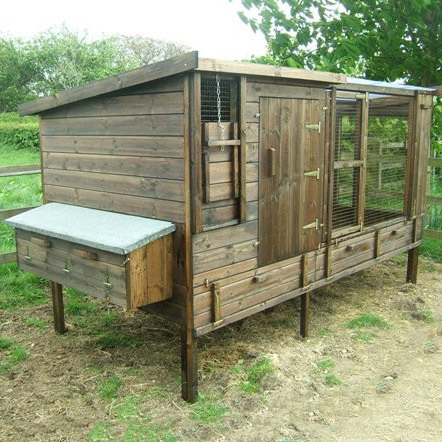 Go the whole way and get a new coop for your girls. They deserve it! Here’s one from Smiths Sectional Buildings or you could try our friends at Green Frog Design. Here’s a lovely gift. 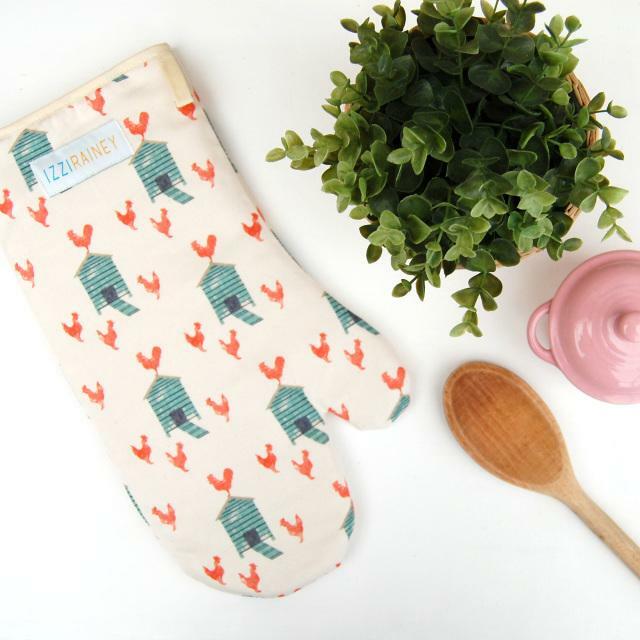 A stylish and practical oven gauntlet in Izzi Rainey’s new Hen House design, perfect for the chicken keepers kitchen. It is also available from our friends over at the British Hen Welfare Trust so you can help raise funds for their hen charity too. A fab present, that helps with a great cause. 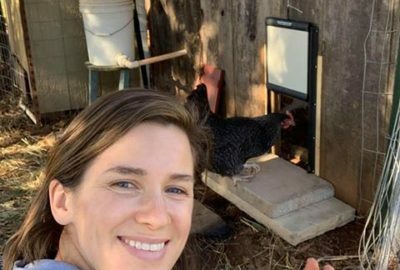 Here’s a great idea for you and your girls: one of our ChickenGuard automatic chicken coop door opener. It’ll keep them tucked up safely from those pesky foxes and raccoons and you get a lie in too. 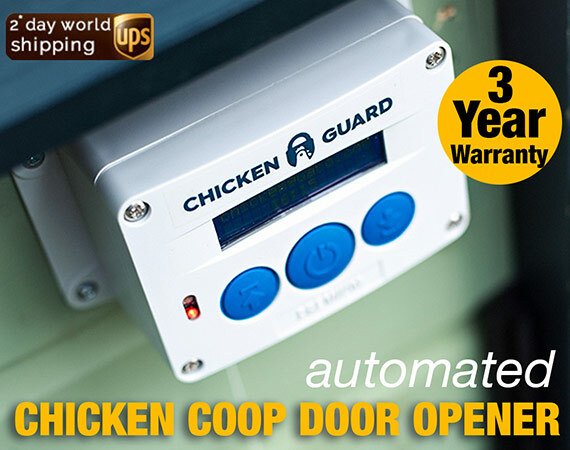 Choose from our Standard, Premium or Extreme or check out the Combi, a ChickenGuard unit and our new Self-Locking Door Kit. Cluck here to shop now. Always a welcome gift for Christmas. 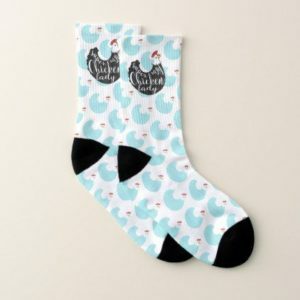 Here are a couple of sock ideas specifically for the Chicken Keeper on your list. Seriously…every crazy chicken lady NEEDS a pair of snazzy chicken socks and these are just so fun! Created from original artwork by Jennifer Nilsson Art, this whimsical printed sock pair will be sure to become a favourite! They’ll bring out the inner chicken in you! 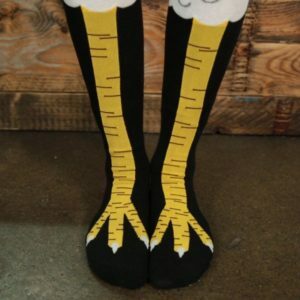 Cluck out these chicken leg socks. 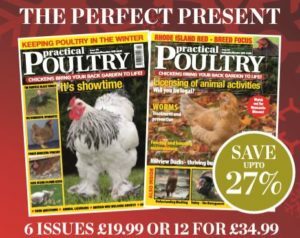 For that gift that gives all year round how about a subscription for a chicken keeping magazine. Practical Poultry is a monthly so you can read about chicken keeping, showtime and get practical tips every month. There are plenty more magazines to choose from so do have a browse. Here’s one for your girls. Treat them with this fabulous Feathers & Beaky vegetable feeder. And you can enjoy watching them jump up to get a beak full too. It’s good exercise for your hens and the veg lasts longer! Why not personalise it. These spoons are from Not on the High Street. And you can personalise them with your own message. 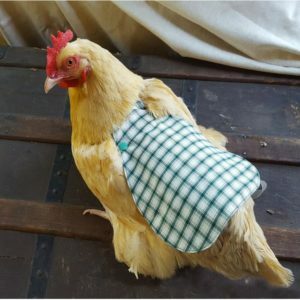 Head over to Pampered Poultry and see these feather guards which (apparently) are not just for the fashion obsessed hen! 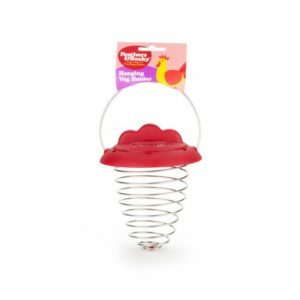 As well as being trend setting they offer your precious girls protection against those not so gentle gentlemen roosters! These feather guards fit comfortably around your hen’s wings and protect their back from feather pecking. We hope you find our list helpful. And that you and your hens have a very Merry Christmas.